Textiles and making things with cloth has always been a part of my life. My parents were tailors and I began to make clothes at a very young age. I have a real love of pattern which led me to study print design at University. On graduation I unexpectedly became a weaver and began working in an historic Jacquard weaving mill in Suffolk, co-designing fabrics for a range of renowned clients. Life then took me to London, then to Singapore and back again. I am now, settled in the South East of England where I take care of my young boys whilst I knit. Pattern and textiles have always played a big part in my life…I can’t imagine a life without colour and layer upon layer of pattern. I’m drawn to florals and folk art, textures and soft tones. Through my knitting I try to incorporate patterns and textures wherever I can. My designs are intended to be pleasurable knits, challenging but relaxing and, above all, lovely to wear. For me, the process begins with mindfully choosing my yarn. My knits become items that I craft with care and enjoy wearing time and again. 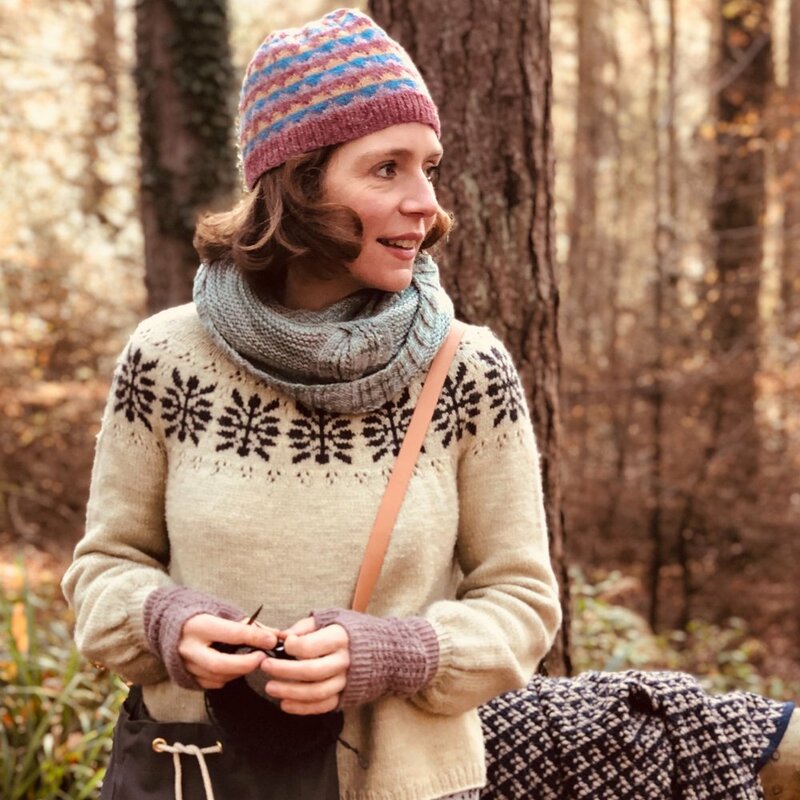 I find endless inspiration from the wonderful independent yarn producers and dyers we have here in the UK and I aim to support small businesses as I slowly grow mine.